Denim has made quite the transformation since the first pair of jeans were made by Levi Strauss in 1871. We’ve been loving jeans for decades now, but how is denim being worn in 2018? I’ve always been a fan of double denim, but it’s only recently that I developed a love for matchy matchy clothing. The Coloured/Printed Denim Co-ords have really taken over the high street with a bang, and I for one am loving the variety. I went for the red co ord from PrettyLittleThing as for me personally, I really love red on. There is something just so 70s about denim jumpsuits. I love clothing that has a vintage feel to it. 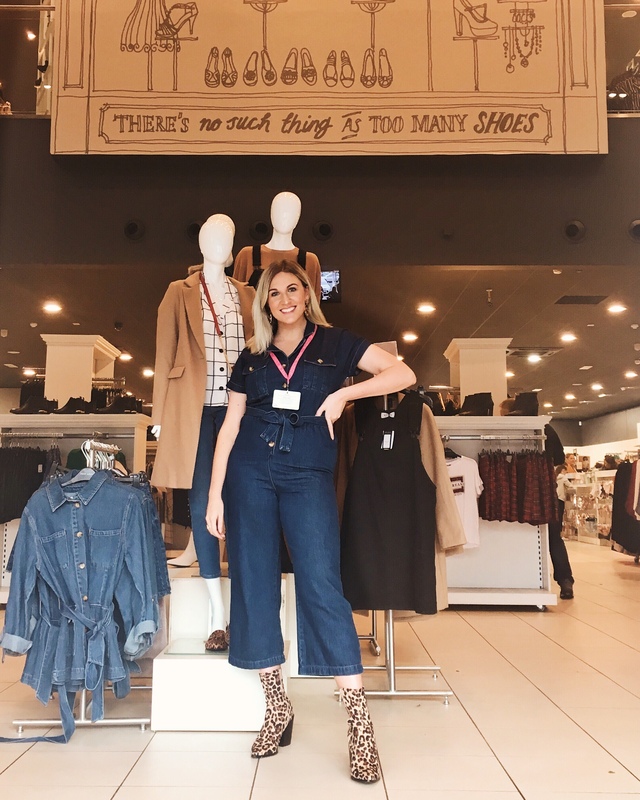 This denim jumpsuit from New Look is an absolute steal at only £24.99. The first time I wore these Flared Jamie Jeans from Topshop, my friend said to me, “Oh they’re very retro aren’t they?” 😂 These jeans definitely aren’t for everyone, but I’m a huge fan of a flare. As I said before, I embrace everything vintage/ retro so these jeans are right up my street. I love wearing these with a shirt buttoned up to the top, tucked in with a statement belt. Or wearing them with a pair of trainers. From a very young age, have loved wearing dungarees. I remember having a purple corduroy pair when I was in Primary School and I thought I was the Bizz in this. I bought these H&M skinny pair as I wanted something a bit different to the usual straight leg dungarees you see in the High Street. Unfortunately these are now sold out, but I’ve linked another pair below. I’ve worn these with trainers, boots, jumpers, t shirts, shirts, cardigans. Dungarees are so versatile, there’s no reason why you shouldn’t have them in your wardrobe. What’s your favourite way to wear denim?